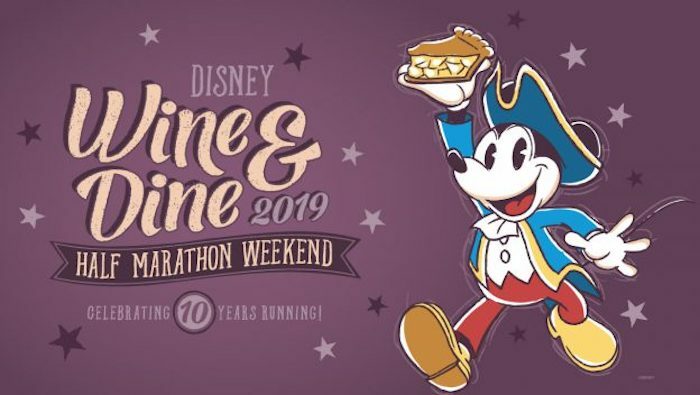 A few changes are coming to the Disney Wine & Dine Half Marathon Weekend as the event celebrates its 10th anniversary this fall. The Disney Wine & Dine Half Marathon is celebrating its 10th anniversary this fall! This year the event will be held October 31–November 3, 2019. Registration for the event is already open for those wishing to participate. The Disney Wine & Dine Half Marathon is celebrating its 10th anniversary this year. Photo courtesy of Disney Parks Blog. This year, all 5K participants will receive a shirt! Previously, only 10K, Half Marathon, and Challenge participates received a shirt. Click here for an event overview, including a list of the amenities included in your race registration. The 5K will also have a change in location this year. Participants will have the opportunity to run, walk, or jog their way through Epcot World Showcase for the first time at this event. This year, the exclusive Post-Race Party will have an earlier entry time. 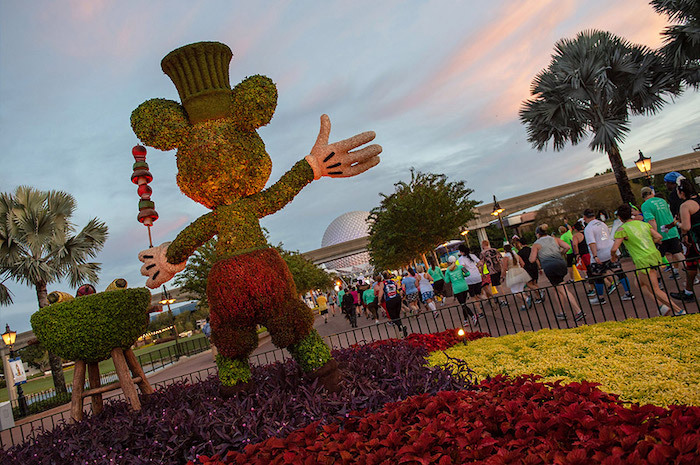 Participants can experience the Epcot Food & Wine Festival starting at 5pm, with special Disney Wine & Dine 10th anniversary entertainment and rare character greetings starting at 10pm. Click here for more information about the exclusive Post-Race Party. 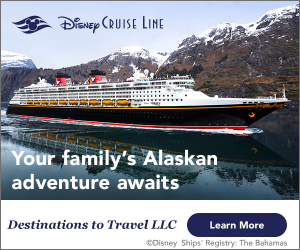 Do you love Disney’s Special Events? Subscribe today!